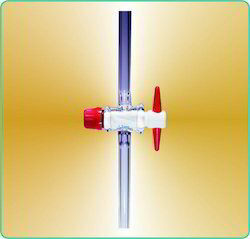 Water stills are carefully designed to produce high purity pyrogen free distilled water. 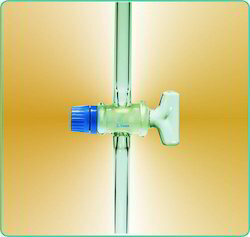 The water still of borosilicate glass comprises of horizontal type boiler, condenser, constant level device, Silica sheathed heaters, along with stand and clamps. All parts are replaceable. 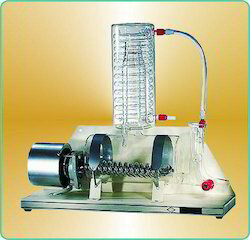 Automatic Electrically Heated All glass Distillation Apparatus, Cut Design, heater embedded in spiral glass tube complete with C.I. heavy base, S.S. Rod, Clamps, Board etc. 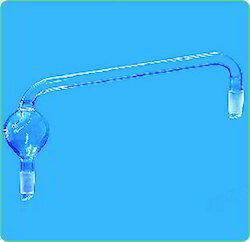 296.01 3 Single Distillation without Cut-off. 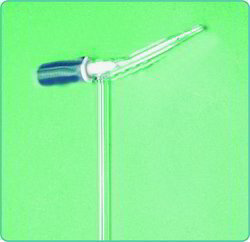 296.02 3 Single Distillation with thermal auto Cut-off. 296.03 5 Single Distillation without Cut-off. 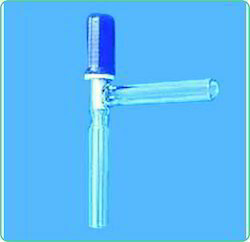 296.04 5 Single Distillation with thermal auto Cut-off. 296.05 10 Single Distillation without Cut-off. 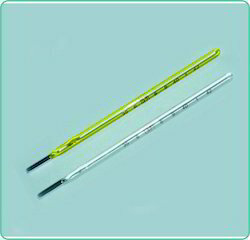 296.06 10 Single Distillation with thermal auto Cut-off. 296.07 3 Double Distillation without Cut-off. 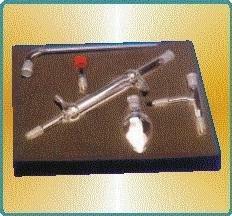 296.08 3 Double Distillation with thermal auto Cut-off. 296.09 5 Double Distillation without Cut-off. 296.10 5 Double Distillation with thermal auto Cut-off. 296.11 10 Double Distillation without Cut-off. 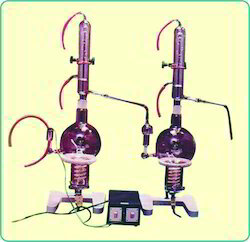 296.12 10 Double Distillation with thermal auto Cut-off. 296.13 3 Triple Distillation without Cut-off. 296.14 3 Triple Distillation with thermal auto Cut-off. 296.15 5 Triple Distillation without Cut-off. 296.16 5 Triple Distillation with thermal auto Cut-off. 296.17 10 Triple Distillation without Cut-off. 296.18 10 Triple Distillation with thermal auto Cut-off. 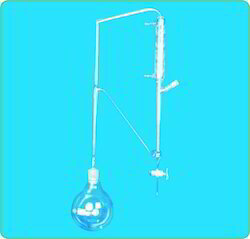 Distillation Apparatus, consists of R.B. 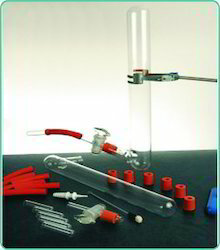 Flask recovery bend, Liebig condenser and receiver adapter. 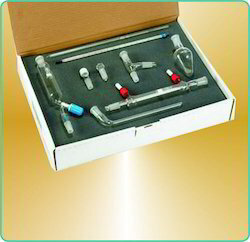 34 BU Organic Chemistry Set. 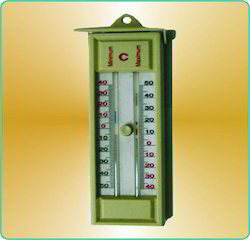 For student use in preparative organic chemistry up to the 150 g scale, this includes all the necessary equipment to allow a wide range of preparations to be carried out.It is also invaluable for industrial laboratories where the among of preparative work is not great and may occur at infrequent intervals. for such applications, this set has the advantage of covering an extensive field of work and occupying little space when not in use. 238.01 Complete set comprising 16 items of Glassware. 239.01 Complete set comprising 14 items of Glassware. 237.01 Complete set comprising 9 items of Glassware. 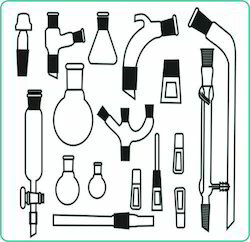 This set is ideal for introducing students to the principal techniques of preparative organic chemistry. Although the set is very simple a surprising number of preparations on the 30 g scale can be carried out. 238.01 Complete set comprising 5 items of Glassware. Complete with flanged jar, flanged lid, funnel and 250 ml. beaker. 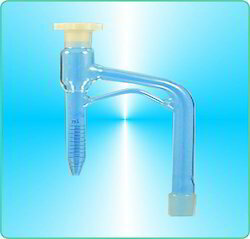 Filtering Apparatus Witt's, Complete with flanged jar, flanged lid, Funnel and 250 ml. beaker.